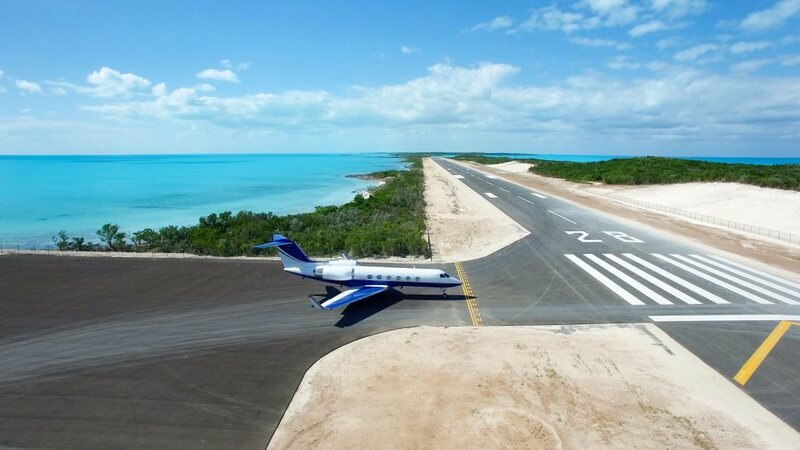 Private airports in the Bahamas allow you to fly directly to smaller runways serving the island of your choice, clearing customs through private terminals, and arriving closer to your resort, luxury villa, special events, and more. There are a total of 41 airports located across the Bahamas archipelago serving its 29 islands, 661 cays, and 2,387 islets. In addition to arriving at any of the smaller airfields to reach some of the more remote cays and even private islands, you can choose to arrive at any of the major international airports as well, arriving via private terminals, also known as FBO’s. For more details on the airports available for your flight, customs information, or other questions about Bahamas airports, call us at +1-888-987-5387, or send us an email through our contact page.